Calculates A mod B for A > 0 and B > 0. Since the fx-3650p has no integer or fraction part functions, a loop of repeated subtractions are needed. This calculates the area of a normal distribution curve between points A and B, given that mean = 0 and deviation = 1. Radians mode is set. The result is stored in C.
Note e is the exponential function (e^x). For example, for 10 AM (10:00), enter 2. For 3 PM (15:00), enter -3. Hence: 12 – time. 1. 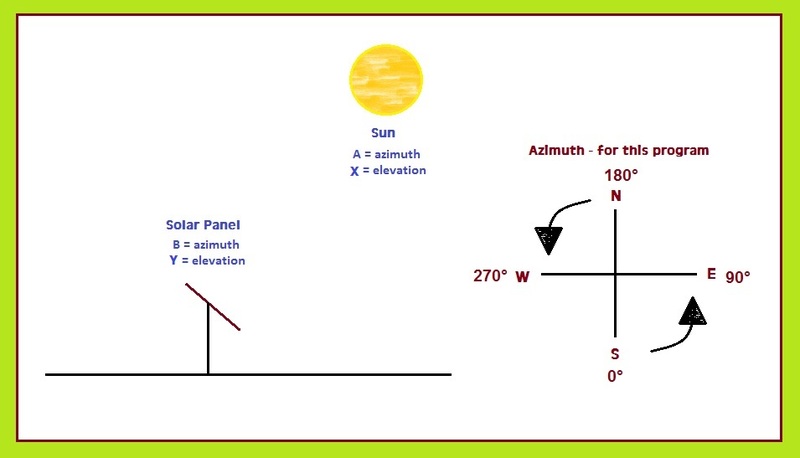 The solar angle of incidence given the angular elevation and azimuth (from south going “counterclockwise”: east-north-west) of both the sun and panel. 2. The irradiance given by the solar panel. Baldocchi, Dennis “Lecture 7, Solar Radiation, Part 3, Earth-Sun Geometry” Biometeorogy, ESPM 129 University of California, Berkeley. Mortimer, David “Lambert’s Cosine Law” 30 January 2014. The Solar Bucket. This program generates a list of random integers (X) from 0 to upper limit Y. This program uses the Fix 0 mode and makes use of the Rnd (round the number in the display) command. Note the integers as they appear. The program finishes by setting the calculator back in Norm 1 mode. As with the other fx-3650p I and others have posted, they can easily be adapted to the fx-50fH, fx-5800p, fx-6300g, fx-CG50, and (almost) any other Casio programming calculator. And yes, I still wish Casio sold these models in stores in the United States. Currently, for us U.S. residents, they can only be purchased online. Now if Casio made a solar version of the fx-6300g, with more memory. There are more differences between models P and PII. The Casio BASIC of PII model has more commands, like FOR-NEXT, WHILE-WEND loops, and IF-THEN among others mores. Don't know if Casio updated the CPU to a faster ones. Will appreciate a lot if someone knows more.